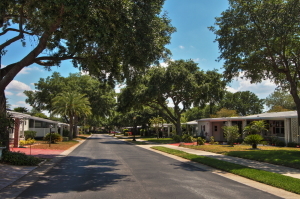 Many 55+ communities near Tampa, Florida, have manufactured homes for sale, but few can offer the kinds of amenities that we can at StrawBerry Ridge. We have an amazing array of affordable manufactured homes available, all of them low maintenance and ready for occupancy. Whether you decide to purchase or lease your home, you’ll soon learn that, at StrawBerry Ridge, it’s not just a place to live … it’s a lifestyle. Our manufactured homes have been expertly refurbished with updated vinyl windows and siding, stain-resistant carpeting, and new countertops and cabinets. They are even outfitted with name-brand appliances, central heating and air conditioning, and other comfort features that combine to create a space that you’ll be proud to call home. But, this is Florida, which means you won’t be spending much time indoors. In fact, just down the street from your front door you’ll find two heated swimming pools, shuffleboard and tennis courts, two clubhouses teeming with social and recreational activities, and even fully equipped ceramics and woodworking shops for you to express yourself creatively. The manufactured homes we have for sale at StrawBerry Ridge near Tampa, FL, are not only beautiful, but they are ideally situated to live the affordable, active Florida lifestyle you’ve always dreamed of. Contact one of our friendly Lifestyle Consultants today to learn more.